The Capitol Theatre is being revitalized in downtown Flint, Michigan, serving as an economic and cultural engine for the city and region. Through the restoration of its ornate John Eberson design and upgrades to its facilities, the Theatre will once again be a focal point for the community, presenting national acts and providing platforms for local arts groups. Enriching and expanding the city's arts and cultural resources, the Capitol Theatre will reopen in late 2017 with refurbished theater facilities as well as restored office and retail spaces. The Re-Opening date, and related programming and activities will be announced in the coming months. 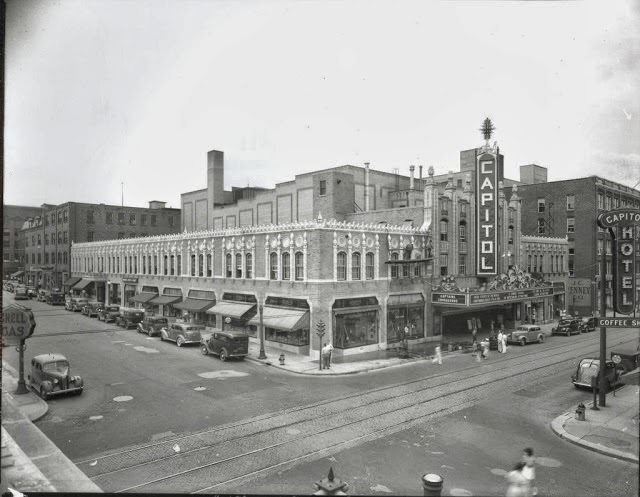 Long a vital part of the city's social and cultural fabric, the Capitol Theatre originally opened in 1928 as a vaudeville house and movie palace, serving as a center of arts and entertainment in Flint. The most lavish of Michigan's chain of Butterfield Theatres, the Theatre began to host concerts in the late 1970s, including performances by a range of popular musicians including Ray Charles, AC/DC, John Mellencamp, Green Day, Black Sabbath and more. Closing its doors in 1996, the Theatre sat dormant for nearly two decades, until restoration began in July 2016. Programming at the restored Capitol will include a diverse mix of popular and classical music, comedy acts, film screenings, contemporary and modern dance, spoken word, and theater works that play to the strengths of its intimate auditorium and a new flexible space for small-scale performances.